Mangoes are grown in (frost-free) tropical and sub-tropical countries, such as India, Pakistan, South and Central America, the Caribbean, South and Central Africa, Australia and South-east Asia. Well-known varieties are Haden, Keitt, Kesar, Alphonso, Valencia Pride, Badami, Chaunsa Nam Dok Mai, Glenn, Sindhri, Madame Francique and Tommy Atkins. Mangoes are usually harvested when they have reached maximum size and have not (quite) started to ripen. The optimum time for harvesting is not easy to establish, but can be determined somewhat by the shape, peel colour, flesh colour and firmness. (Note: for many mango varieties the peel colour is not related to the internal colour and ripeness). Mangoes produce very little ethylene while the ripening process has not started. 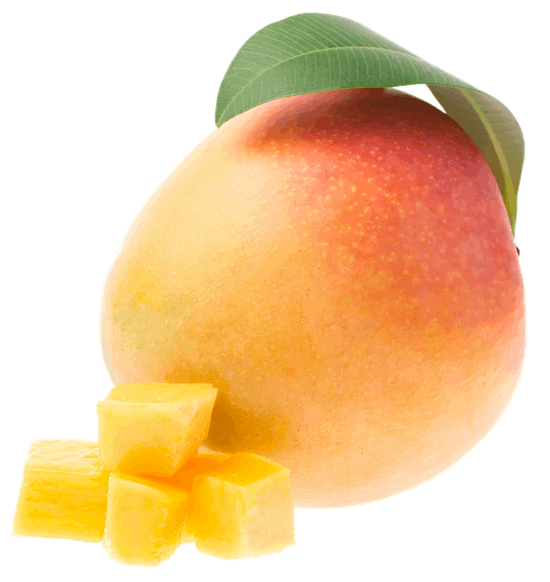 At this stage mangoes are fairly sensitive to exogenous ethylene, which will initiate ripening. As a consequence, the mango itself will start to produce ethylene. Use is made of this property by harvesting the unripe fruit and exposing it to exogenous ethylene in ripening cells before or after transport, thereby starting the ripening process. Damaged fruit develops a mould, producing more ethylene, which has a negative influence on other (undamaged) fruit. Due to the very high temperature of mangoes during harvesting, the mangoes must be cooled as soon as possible to the optimum storage temperature after harvesting (using flow cooling or hydro cooling). Mangoes are stored at a temperature between 8 and 13 °C, depending on the variety and ripeness. The Asian type is stored at high relative humidity (90–95%), but the Indian type cannot tolerate a high relative humidity. The Controlled Atmosphere storage of mangoes inhibits ripening by reducing the respiration rate and the ethylene production. The optimum for CA mango storage is 3 – 7% O2 and 5 – 8% CO2. Depending on the variety and stage of ripeness, mangoes can be stored 3 – 6 weeks in CA at 13°C ( 2 – 4 weeks in ordinary cooling). Questions about our solutions for mango storage? Free advice on which solutions are suitable for your situation? Download our mango storage brochure or contact us for a free consultation!